Wallpaper fell out of fashion for a long while after the pattern overload during the 1980’s, but as we all know the world loves to recycle a trend. And now, whether you love it or hate it, wallpaper is making a comeback as designers and homeowners are again starting to embrace patterns, bold prints and interesting textures. Just like a fresh coat of paint, a feature wall of beautiful wallpaper can inject some personality to a room and immediately change the feeling of a space. The possibilities are endless, you may prefer to opt for something subtle and light such as a natural hue with an interesting texture, a soft pattern or some florals? What about a bright bold print, or maybe something geometrical is more your thing? Whatever your choice there really are no right or wrongs, just ensure that whatever you choose will complement and tie in with the rest of your space. Firstly, measure the width of the wall/s that you want to cover, and divide by 53 (53cm is the standard width of most wallpapers but it is best to check this). The number you are left with will be the number of drops you will need. Next, calculate the meterage of paper required by multiplying the height of your room by the number of drops. And lastly, to work out how many rolls you will need… divide the length of the roll minus the pattern repeat (if there is one). 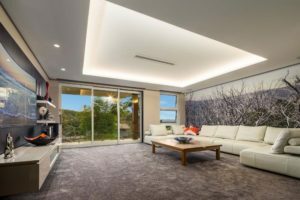 Wallpaper is generally a standard length of 10m but be sure to check this first. Round up to the nearest whole number to get the number of rolls needed. It’s not a bad idea to purchase 1 or 2 extra rolls, especially for challenging patterns. NB: wallpapers are manufactured in batches, and these batches can sometimes vary slightly from colour to colour. 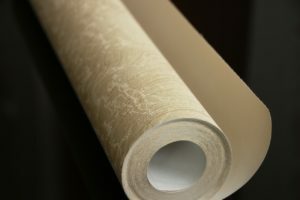 Buying your rolls from one batch is the best way to ensure a seamless look (as well as good application obviously). Rounding up to the nearest whole number gives you a total of 3 rolls of wallpaper you will need to purchase for your wall. 4 or 5 If you would like extra on hand for any errors. There are other ways to use wallpaper other than committing to covering a whole wall (or room). If you have fallen in love with a certain paper but are unsure about hanging it on the walls, then here are a few other ways to consider where wallpaper can inject some personality into a room. You could create a personalized headboard for your bed. Start by having 3 panels and choosing two complementing wallpaper patterns. Cover one pattern on the middle panel and use the other pattern to cover the two flanking panels. Update those outdated mirrored wardrobe doors by getting creative with your favourite wallpaper. Use removable adhesive wallpaper to cover and modernise them. This doesn’t have to be limited to wardrobe doors – other options such as cupboard doors or the inside of a bedroom door to add a bit of interest. Choose a colourful print to cover the back wall of your cabinetry or bookcases. The extra pop of pattern and colour will make your crockery stand out, and will no doubt make you smile every time you grab a book to read. To highlight a fireplace, prominent wall or niche maybe consider a pattern or textured wallpaper for added interest. Or you could go for an unconventional look by hanging wallpaper on the ceiling, this can change the whole feel of a space. The underside of a staircase is also another interesting option. Use a pretty pattern wallpaper as your kitchen splash back and cover with a layer of glass to protect it from splashes and grease. Of course, this will need to be professionally installed. You don’t have to wallpaper an entire wall or room to get an interesting effect. You can create your own eye-catching art by hanging some framed pieces of wallpaper to infuse some decorative elements that can be easily changed. 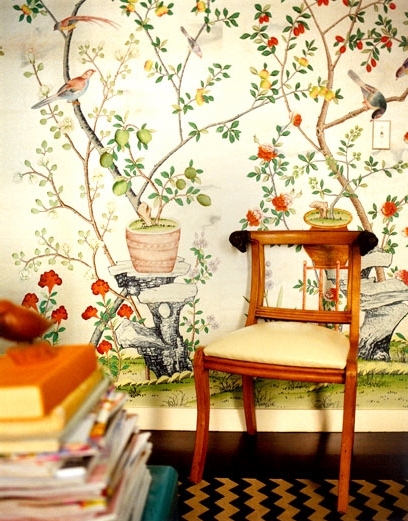 There are so many creative ways that you can utilise wallpaper in your home. However you choose to use it, have fun when selecting your choices and enjoy the feeling the finished product adds to your space.